The siding of a home is the "skin" or outermost visible facing on the building. The siding on your new home is one of the most important components. 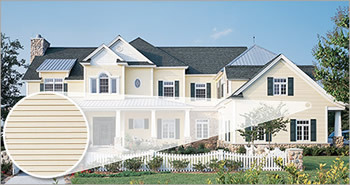 Dormer King will help select siding for your home based on desired appearance, longevity, and maintenance. There are many siding types such as vinyl, stucco, brick, aluminum, wood, stone and synthetics. Let our Dormer King design consultants take the mystery out of these options and create the perfect look for your house. Dormer King only installs the highest quality products. That's why we are a Certified Alcoa Contractor. If you have any questions or concerns about our siding and exterior remodeling services, please contact us today. We have years of experience in the industry and can provide trusted and reliable service to homes across Suffolk and Nassau county. You can call 631-947-5555 to learn more about our array of services.